Are you as obsessed as I am? 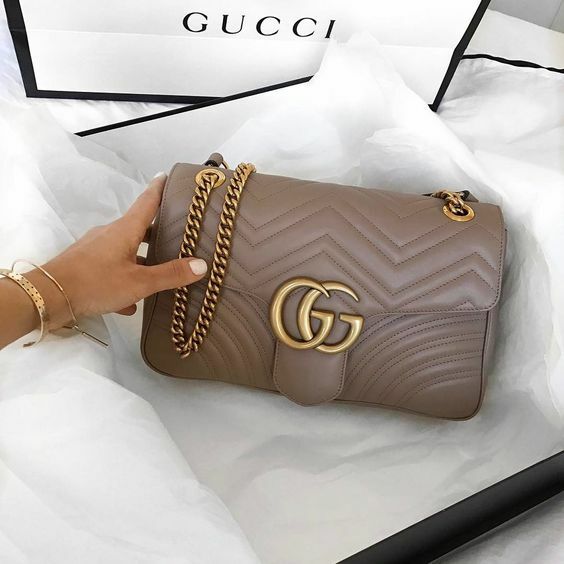 unfortunately the only Gucci thing I currently own is a scarf but if you were to check out my Pinterest or Instagram account you would see an influx of Gucci pictures of clothes, accessories and shop fronts that i'm literally obsessed with! The ever so Insta famous double GG black leather belt! 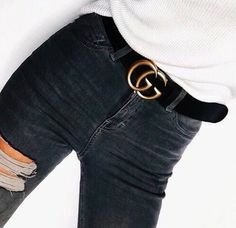 I am determined to have this belt it looks amazing with almost every single outfit and it can add class and elegance too. 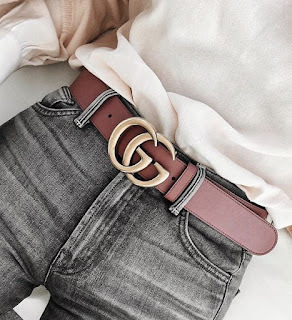 I love that this belt comes in so many widths and colours so you can pair it with literally anything and everything. I saw this colour the other day and had to share it across my social media. I love the style and how much of a statement piece this belt is. The buckle comes in either silver or gold. The belt is made out of Italian leather and you can really tell to its so soft and smells expensive, which I love ( yes I've sniffed it ) the only fault I can make of this belt is that its £320.